Using the necropolis environments of the Vesuvian region of Imperial period Italy as a case study, this paper examines the ways in which multiple, overlapping, and temporally specific senses of place were associated with Roman funerary landscapes. In particular, it explores the role of the agency of the natural environment—e.g. the more-than-human or ‘planty’ agency of trees, plants, flowers, and fruits—in the creation of these places, arguing that they are best understood as the dynamic product of in the moment experiences. Focusing on issues of temporality and sensory perception, it is demonstrated that, just as place was itself always in the process of becoming, so too were many of the elements which produced it. Consequently, this study offers a new perspective on the ephemerality of place which foregrounds the currently undervalued material agency of the more-than-human world in the construction of Roman experiences, identities, and knowledge. 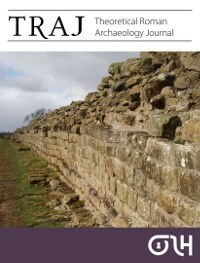 This article is available Open Access on the Theoretical Roman Archaeology Journal website.